An art easel: one can think of it as a messy thing that takes up a lot of space. Would my kid even want to use that easel? This is very common, logical thinking. I mean, of course, the easel is bulky and can be messy. Why do we keep it in our house? Practicing pre-writing skills in a playful way. Proper pencil grip: drawing lines on the vertical surface naturally encourages the proper pencil grip. Building self confidence! 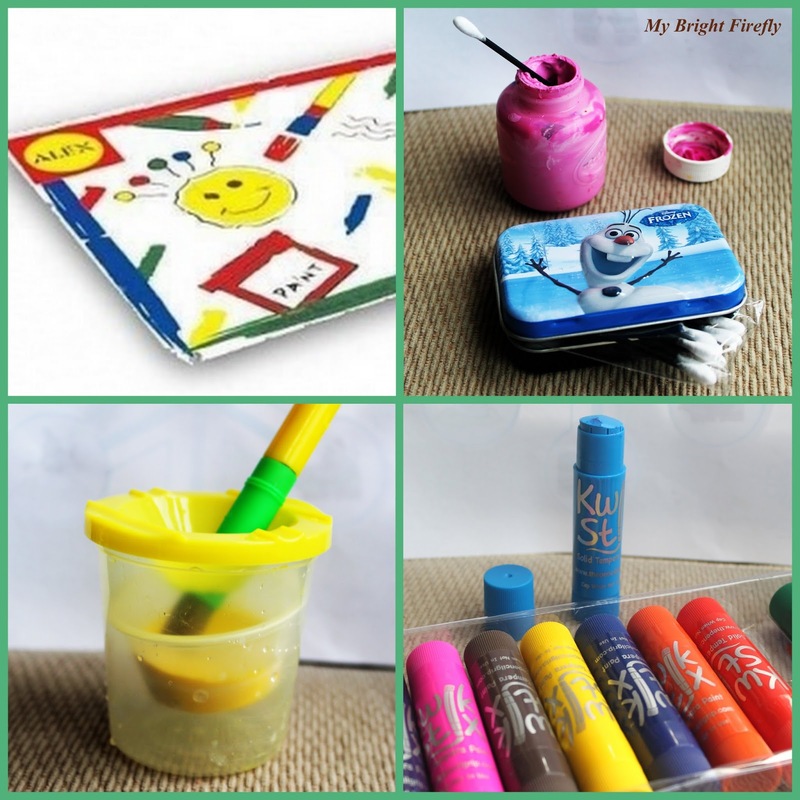 Kids can get easily frustrated by their first attempts at drawing or coloring. For some reason, working on an easel feels different and exciting to them. Expressing feelings and emotions, making up creative stories. We used smocks for two year olds. Three year olds are interested in creating patterns on paper more then painting body parts. 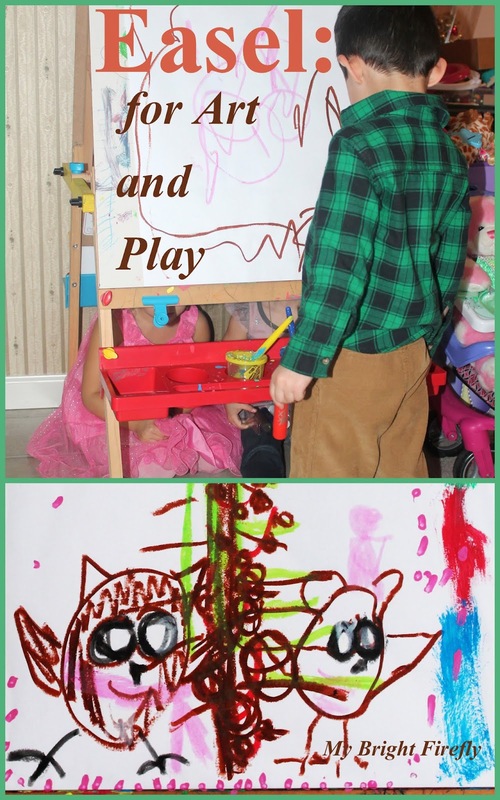 They are also starting to distinguish the place and time for messy play vs. the need to be careful to avoid mess. We don't use smocks any longer; and I found art activities easy to clean up with the minimum mess. Four year olds are wonderful artists: eager to experiment with colors and textures, and to use their soaring imagination! Can you spot 3 kids at the easel below? Generally speaking, our easel activities are NOT scheduled. Our bulky easel occupies the best, well lit corner of the kitchen, with the paints and brushes readily smiling - inviting to start creating. Our bulky easel is hard to miss - I got used to live with that. And so are my guests: it's a great conversation starter! I had to learn to tolerate the easel in the kitchen. After it got moved their from the dark corner in the play room, it welcomes new scribbles and doodles every day! We've seen some wonderful art created on it. We have heard some wonderful stories about the portrayed characters. We have had some wonderful lessons on sharing and playing together around this spot in the house. Having friends around is the best way to put the easel to use. 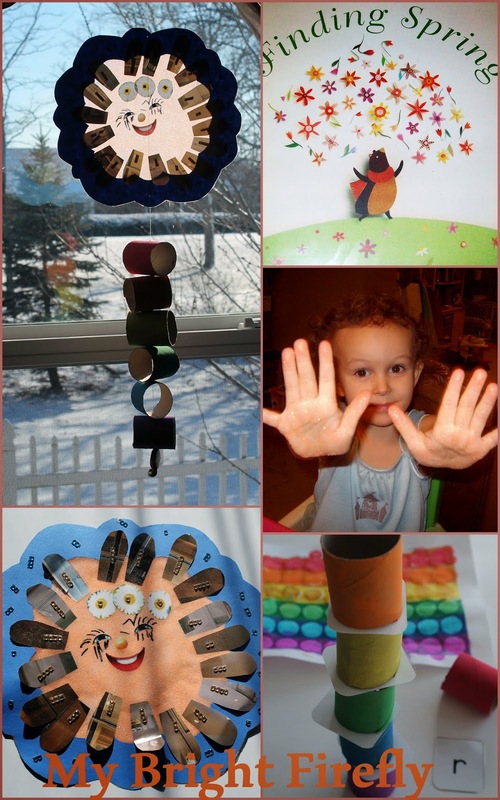 Kids are different, and might have different needs in their creative environment. For My Firefly, the key is to have people around who might be willing to look, listen, and play. Because the little artists love to do it all together: create new stories, and illustrations to them, and new rules for new games are all in one. 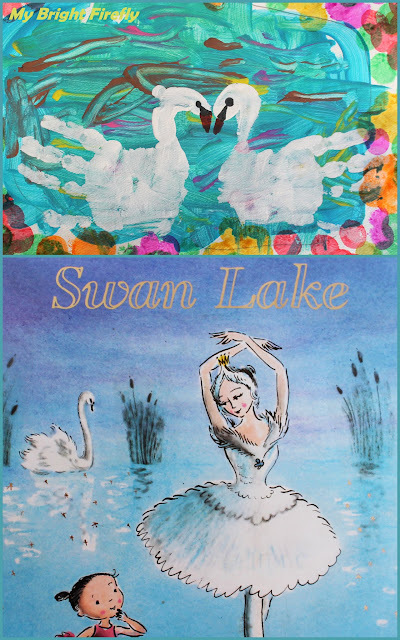 Swan Lake Painting and Hand Print Art. 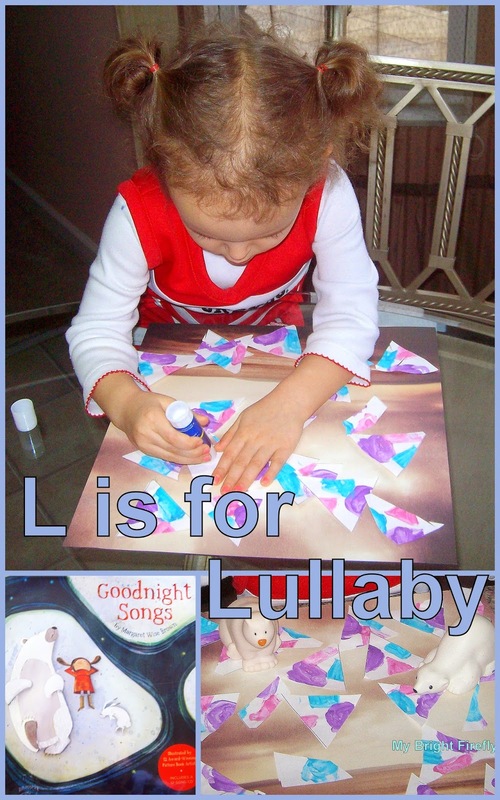 Polar Bears and Lullabies. Polar Bears Afloat in the Sea: Art Appreciation Preschool Activity.